Stanford scientists have developed faster, more energy-efficient microchips based on the human brain – 9,000 times faster and using significantly less power than a typical PC. This offers greater possibilities for advances in robotics and a new way of understanding the brain. For instance, a chip as fast and efficient as the human brain could drive prosthetic limbs with the speed and complexity of our own actions. Does information have mass? This question has been asked many times and there are many answers even on the Internet, including on Yahoo Answers. Usually the answer is “no”. 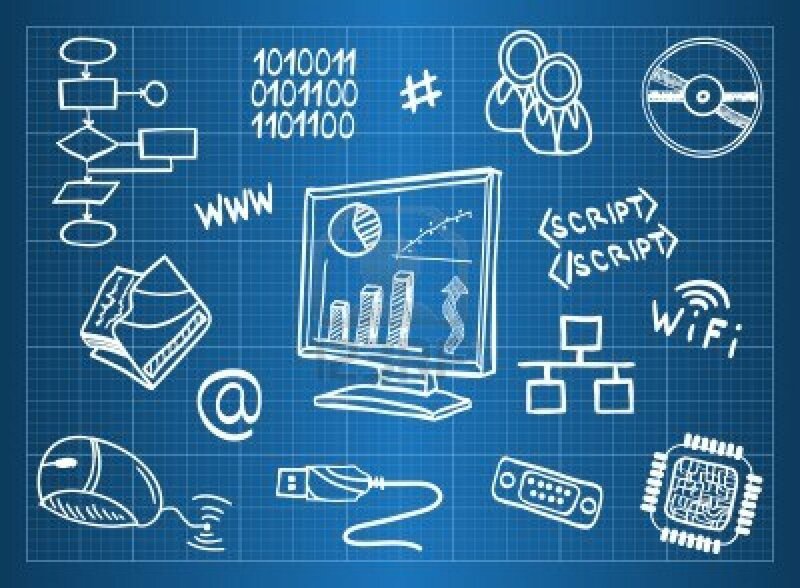 Attempts have been made to assess the physical mass of information by estimating the mass of electrons feeding the power-guzzling computers and devices making up the Internet, the result being around 50 gram. Other efforts to calculate the mass of information have assumed that each electron involved in signal transfer carries one bit of information, which makes the corresponding mass to be about 10-5 gram. We address the fundamental question of minimum mass related to a bit of information from the angles of quantum physics and special relativity. Our results indicate that there are different answers depending on the physical situation, and sometimes the mass can even be negative. We tend to be skeptical about the earlier mass estimations, mentioned above, because our results indicate that the electron’s mass does not play a role in any one of them…. NASA currently controls its deep space missions through a network of huge satellite dishes in California, Spain and Australia known as the Deep Space Network (DSN). Even the Voyager 1 probe relies on these channels to beam data back to Earth as it careers away into space. But traffic on the network is growing fast, at a rate that the current set-up can’t handle. Two new dishes are being built in Australia at the moment to cope with the extra data, but a researcher from University of Southern California has proposed a slightly more radical solution to the problem. In a presentation to the AIAA Space conference in Pasadena, California, last Thursday, Ouliang Chang suggested that one way to ease the strain would be to build a supercomputer and accompanying radio dishes on the moon. This lunar supercomputer would not only ease the load on terrestrial mission control infrastructure, it would also provide computational power for the “first phase of lunar industrial and settlement development”. Chang suggests that a lunar supercomputer ought to be built on the far side of the moon, set in a deep crater near a pole. This would protect it somewhat from the moon’s extreme temperature swings, and might let it tap polar water ice for cooling. As well as boosting humanity’s space-borne communication abilities, the USC presentation also suggests that the moon-based dishes could work in unison with those on Earth to perform very-long-baseline interferometry, which allows multiple telescopes to be combined to emulate one huge telescope. 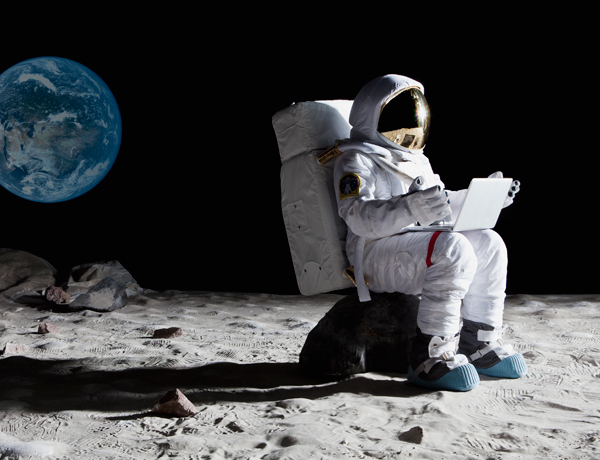 The challenge of building anything on the moon is clearly high,but the rise of modular data centres may make the IT side of things a little easier. Companies like HP and IBM now build blocks of data centre which can be plugged together on location to provide computing power. Shipping these to the moon would likely be easier than assembling an entire supercomputer on site. Researchers in Aalto University have developed a new concept for computing, using water droplets as bits of digital information. This was enabled by the discovery that upon collision with each other on a highly water-repellent surface, two water droplets rebound like billiard balls. In the work, published in the journalAdvanced Materials, the researchers experimentally determined the conditions for rebounding of water droplets moving on superhydrophobic surfaces. In the study, a copper surface coated with silver and chemically modified with a fluorinated compound was used. This method enables the surface to be so water-repellent that water droplets roll off when the surface is tilted slightly. Superhydrophobic tracks, developed during a previous study, were employed for guiding droplets along designed paths. Using the tracks, the researchers demonstrated that water droplets could be turned into technology, “superhydrophobic droplet logic.” For example, a memory device was built where water droplets act as bits of digital information. Furthermore, devices for elementary Boolean logic operations were demonstrated. 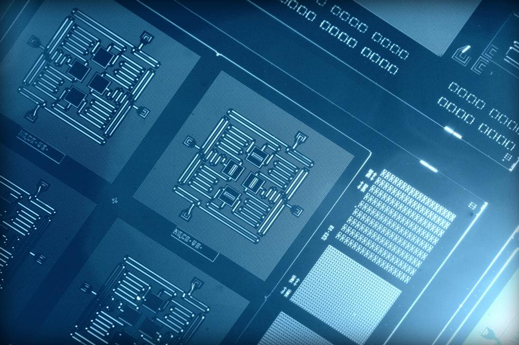 These simple devices are building blocks for computing. Furthermore, when the water droplets are loaded with reactive chemical cargo, the onset of a chemical reaction could be controlled by droplet collisions. Combination of the collision-controlled chemical reactions with droplet logic operations potentially enables programmable chemical reactions where single droplets serve simultaneously as miniature reactors and bits for computing. “It is fascinating to observe a new physical phenomenon for such everyday objects — water droplets,” says Robin Ras, an Academy Research Fellow in the Molecular Materials research group. “I was surprised that such rebounding collisions between two droplets were never reported before, as it indeed is an easily accessible phenomenon: I conducted some of the early experiments on water-repellent plant leaves from my mother’s garden,” explains a member of the research group, Henrikki Mertaniemi, who discovered the rebounding droplet collisions two years ago during a summer student project in the research group of Ras and Academy Professor Olli Ikkala. The researchers foresee that the present results enable technology based on superhydrophobic droplet logic. Possible applications include autonomous simple logic devices not requiring electricity, and programmable biochemical analysis devices. This film was a specific project to define how a particular type of satellite would move through space. 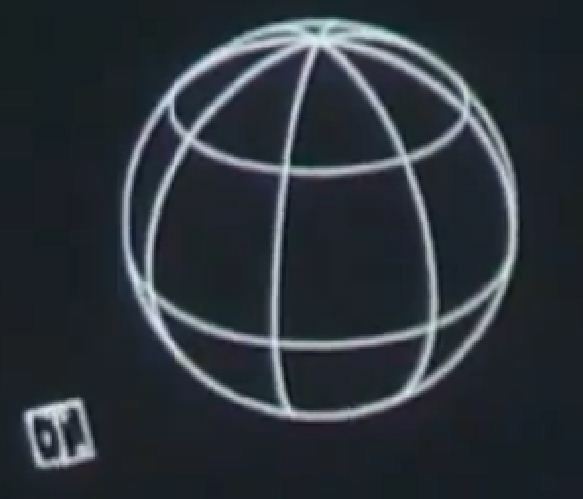 Edward E. Zajac made, and narrated, the film, which is considered to be possibly the very first computer graphics film ever. Zajac programmed the calculations in FORTRAN, then used a program written by Zajac’s colleague, Frank Sinden, called ORBIT. The original computations were fed into the computer via punch cards, then the output was printed onto microfilm using the General Dynamics Electronics Stromberg-Carlson 4020 microfilm recorder. All computer processing was done on an IBM 7090 or 7094 series computer. Zajac didn’t make the film to demonstrate computer graphics, however. Instead, he was interested in real-time modeling of a certain theoretical construct. At the time, The Bell System was still deeply engaged in satellite research, having launched Telstar the previous year, with plans to continue developing communications satellites. Zajac’s model is of a box (“satellite”), with two gyroscopes within. In the film, he was trying to create a simulation of movement — the pitch, roll, and yaw within that system. He gives these particulars in an article in the Bell System Technical Journal, from 1964. Zajac worked at Bell Labs from 1954 to 1983. He passed away in 2011; his last appointment was as part of the Economics faculty at the University of Arizona. For the latter part of his career, he specialized in the economics of communications and telecommunications.